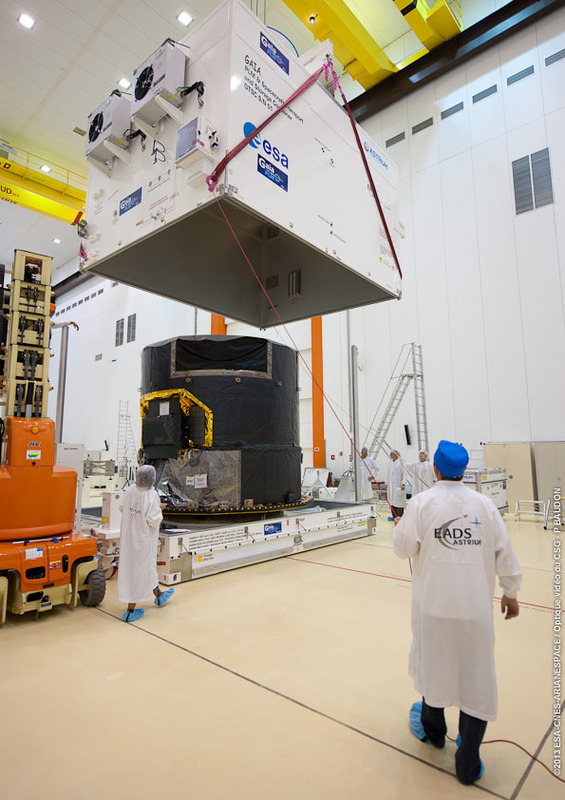 The transport container with the spacecraft was opened on Monday last week in the clean room of the launch centre. In the clean room the air is strictly controlled to a very high level of purity, the temperature is kept stable at 21 °C and the humidity below 60%. 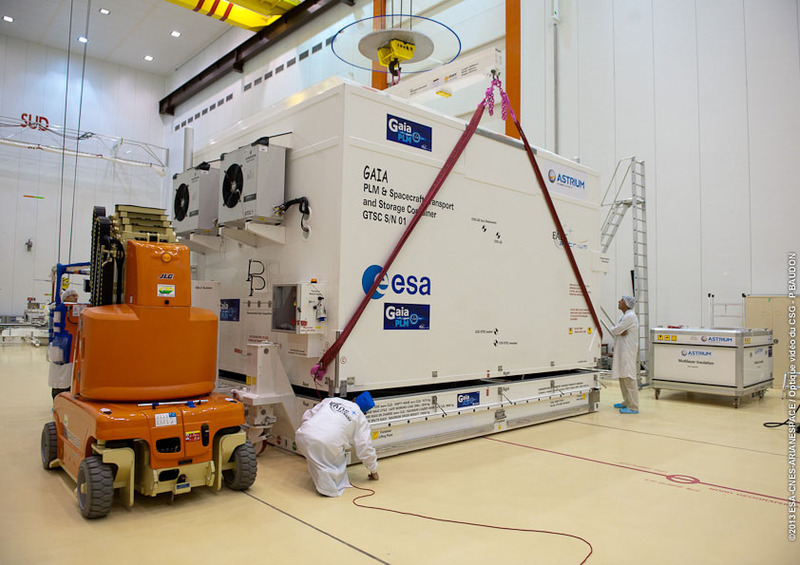 These conditions are very important for Gaia which has very delicate optical systems. Here are some photos showing the phase of opening the container. Above: The container has just been opened and the cover is ready to be lifted. On the left wall one can see the two fans of the redundant air conditioning system. 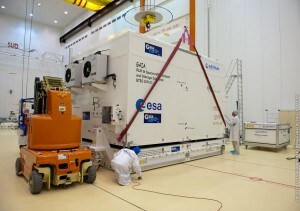 Also the air inside the container has been controlled during all transport phases, starting from Toulouse. 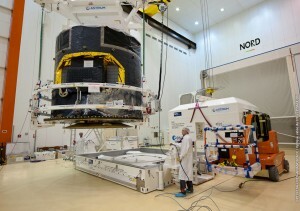 Right: The lifting of the cover unveils the spacecraft. The black rectangle on the upper side is the opening view of one of the two telescopes. It is covered with a foil to protect the inside of the instrument bay from contamination. The air around the telescopes and the camera must be 1000 times cleaner than the already very clean air of the room. 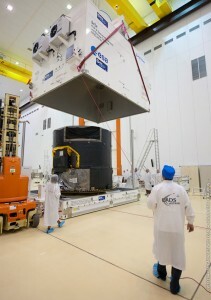 The spacecraft is being lifted and moved to the next destination. On the upper part the opening views of both telescopes are visible. The central part surrounded by the golden strip is the back side of the one billion pixel camera. During the manipulation of the container a large grasshopper was found by an operator. The insect was already dead and it is confirmed it was outside the clean room. 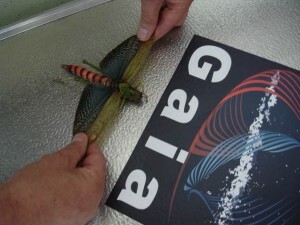 It shows how all insects here are oversized.